always counting on time to carry us to the right place. picking up new scenes to store in my eyelids and eyelashes. we float on the current, forwards. To which I am clinging too tightly, harsh angry red all across my palms. I wrote a fairly long post about how I’m trying to figure out why I don’t particularly like getting my photo taken while hypothetically tying that to my childhood abroad, where I was constantly being pointed out and my time in India, where passersby would take my photo all the time. Then I realised it was probably one of the most self-indulgent, over-emphasized pieces I have ever written and deleted all of it. 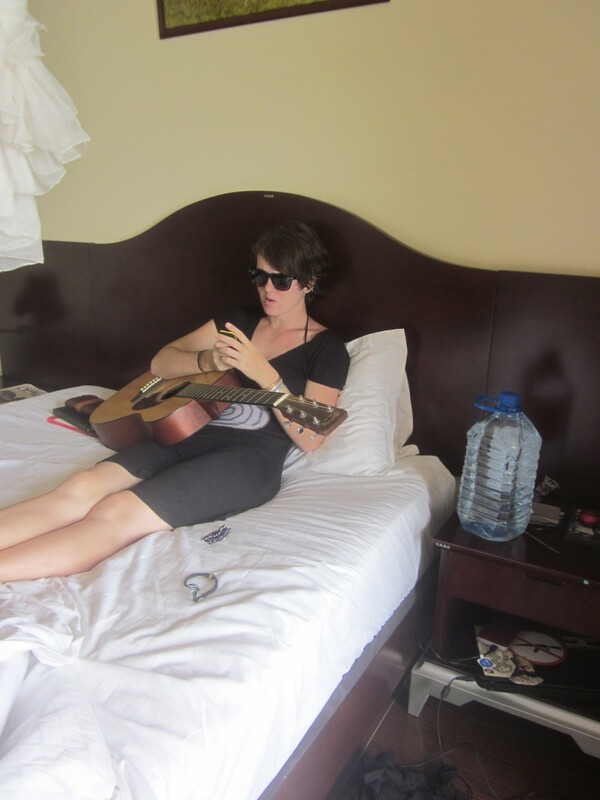 This was taken by my favorite person in the whole world, in a hotel room, while I was texting someone I love, on an amazing weekend which happened to be one of the last times we were able to spend quality time together in Uganda. This documents love right here.